Wood floorings have always been very fashionable, but they are gaining more and more popularity even for offices and other formal rooms. This rise in popularity is because of their warm look, affordability, variety, eco-friendliness, ease of maintenance and high value. 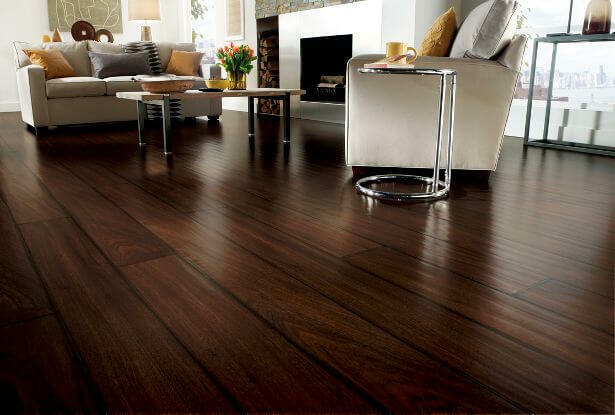 Having originated in Europe, laminate wood floors are becoming a good alternative for hardwood in North America. They are available in various styles, sizes, designs and colors, just like wood floors. They can also be very stylish in patterns like tile, realistic stones and hardwood visuals. 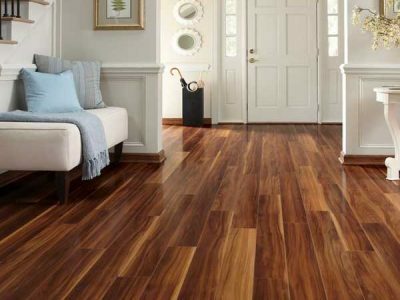 Laminate wood flooring is a kind of flooring that enhances the natural look of wood with greater durability and toughness. This flooring is easy to install, innovative, cost-effective and very durable. The floors are also scratch resistant and low-maintenance. Laminate wood floors are very tough, and are thus ideal for all kinds of rooms–even those with high traffic like kitchens and offices–since they are resistant to stains, scratches, spills and burns. They are also available in an extensive variety of styles, species, cuts and types. 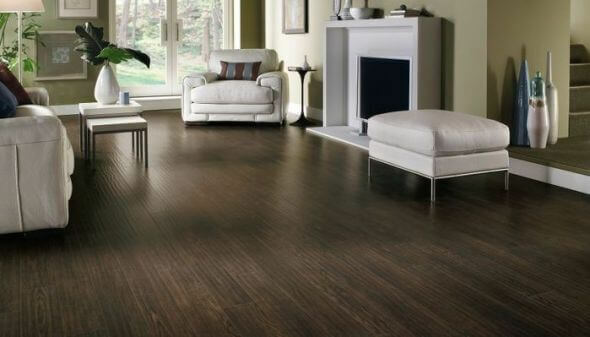 Laminate floors are available in planks or tiles. Laminate wood flooring is done using sophisticated technology for the designs. They can be installed on previous floors like plywood, concrete slabs and OSB by simply floating the tiles over them. These planks have tongue-and-groove edges that allow them to lock into each other. Hence, they do not need any glue to keep them in place. They are just placed over the previous floor. A special polyurethane underlay is laid on the previous floor before installing, to enable the laminate wood floor to float freely. These floors are therefore very easy to install. Some kinds of laminate floors are pre-glued and just have to be wiped with a wet sponge to reactivate the glue. There are also some kinds of glued-laminate wood floors available. 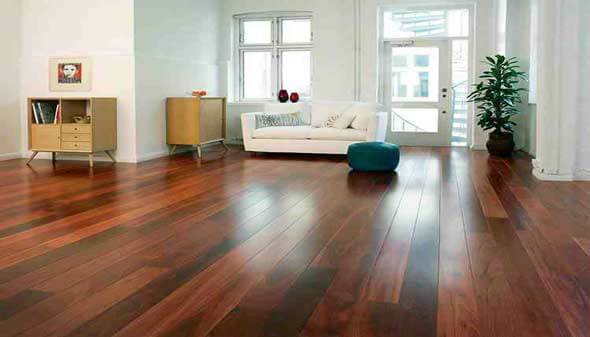 Maintenance for laminate wood floors is relatively easy. They should not be waxed or polished. Using felt pads or casters under the legs of the furniture would prevent scratching. The floor should be vacuumed regularly using soft brushes, and it should be wiped with a wet cloth or mop when required. Do not use any harsh cleaners or steel wool for cleaning. Do not refinish or sand the floor. Follow the manufacturer’s instructions carefully for other maintenance tips. These precautions will make the floor last for years.